promotion and marketing of your business. I can build your social channels, create content around your business, distribute your content through social media, grow your fanbase and engage with your community. ...Working with all the top social networking channels including Facebook, Google+, LinkedIn, Twitter and many more. Your business needs to be actively involved in the conversation. 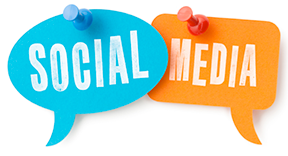 Outsourcing Social Media Management is how businesses free their staff. While we manage your businesses' Social Media you can spend more time concentrating on running your company. I can establish your presence on those social networks that will provide the most benefit to your business. Options include Facebook, Twitter, LinkedIn, Google+, Pinterest, and many others. I have experience in growing internet audiences by entertaining and educating customers. Let me help you plan a strategy that will not just bring in fans, but will generate real leads and build brand loyalty.